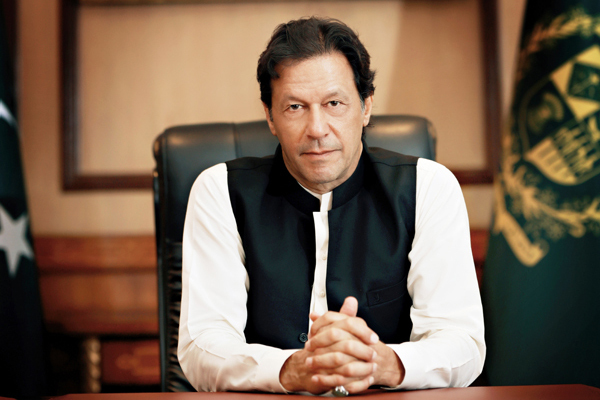 ISLAMABAD, Oct 18 (APP):Prime Minister Imran Khan strongly condemning the terrorist attack in Kandahar, Afghanistan Thursday said peace and security of Pakistan was inextricably linked to peace and security in Afghanistan. The Prime Minister in a tweet posted on his twitter handle condemned the terrorist attack, targeting Kandahar’s Governor, police chief and Intel chief. “Our condolences and prayers go to President Ghani, the families of the victims and the people of Afghanistan,” he said. Meanwhile, according to a press release issued by the PM Office, the Prime Minister strongly condemned Kandahar incident resulting into the loss of precious lives. He said the people and the security forces of Afghanistan had been paying a heavy price due to continued instability and threats from the enemies of peace. The Prime Minister said that Pakistan stood by the government and the people of Afghanistan in their quest for lasting peace and stability. He said peace in Afghanistan was critical to the regional peace and development. Pakistan suffered similar attacks during its own electoral process and we could feel the pain of the people of Afghanistan, he added.